Stephen Sondheim’s Sweeney Todd has long occupied a space between being an opera and a musical. Having won both the Tony Award for Best Musical and the Olivier Award for Best New Musical, it has since received performances on opera stages worldwide, with Bryn Terfel gracing the title role with the Lyric Opera of Chicago in 2002, and at the Royal Opera House with Sir Thomas Allen and Dame Felicity Palmer appearing as Sweeney and Mrs Lovett respectively. As such, the interpretational possibilities offered by Sweeney are seemingly limitless. Oxford Operatic Society’s rendition, currently running at the Oxford Playhouse, fell more on the side of the musical, emphasizing the black humour of the play. Nowhere is this humour more evident than in ‘A Little Priest’, the duet between Sweeney and Mrs Lovett that closes the first act. Clare Dovey-Wilson’s performance as Mrs Lovett was exceptional throughout. She brought all the nuance needed to this complex character who remains devoted to Sweeney despite his moral shortcomings, eventually coming to match them as she devises a way to profit from his murders, and keeping the existence of his wife hidden so she can stay with him. The highlight of the evening was her duet ‘Not While I’m Around’ with Guy Grimsley as Toby, who matched her in both vocal and acting ability. As well as managing adorably hapless throughout the play, in the brief moment when Toby takes up Sweeney’s razor at the close Grimsley produced the most chilling moment of the entire production. While the cast as a whole worked well as an ensemble, it seemed that with the exception of Grimsley the female soloists were a little more convincing than their male counterparts, who lacked the necessary sinisterness (or naivety in Anthony’s case) for their parts. As a whole, the ensemble pieces were well managed, particularly the quartet ‘Kiss Me’, where Johanna’s (Laura O’Mahony’s) voice shone. The large set pieces with the entire cast on stage were particularly well choreographed, avoiding both problems of stage crowding and having certain vocal parts drowned out that such a large cast on stage presents. One element that did seem a little at odds with the rest of the production, however, was the Greek chorus. This was, in principle, an excellent idea: having a group to provide moralising statements upon the drama, who would then melt seamlessly back into the crowd of London residents, adds a certain immediacy to the moral message delivered by the ensemble as well as adding to the character development of the soloists. And, indeed, the chorus managed to ‘adopt [the characters’] more reflective personas’, as voiced by Assistant Director Jonathan Drummond. Unfortunately the decision to place the chorus in plain black, I felt, jarred a little, especially when the chorus joined the rest of the cast in period costume. Although it was intended as a universalising touch, the moral message would have carried just as well in period costume without detracting from the chorus’ excellent acting. Another of the successes of this production was the set: making extremely efficient use of the stage, it not only evoked the grimy back streets of London in which the drama is set, but also allowed for Sweeney’s victims to be deposited, very convincingly, from the barber’s chair into Mrs. Lovett’s bakehouse. Once Sweeney gets into his stride in Act II, the demise of his various customers was suitably macabre, but Pirelli’s (Andy Blagrove’s) crowning moment as the first victim was a little under-played. Given the way in which the subsequent murders were staged and not being the most subtle moment in the musical, the context would have allowed for a more dramatic demise. Oxford Operatic Society produced a solid and enjoyable rendition of Sondheim’s notoriously complex musical. Director Ed Balgrove wrote in his programme notes that the moral of the tale is that “We all have demons inside us, what would it take to unleash ours?” Particularly in Toby’s final onstage moments, the production convincingly conveyed this uncomfortable question whilst never losing sight of the humour that underlies the entire libretto (and, indeed, the score, with the references to the Dies Irae in the Ballad). With some stand-out performances, it is well worth seeking out before the end of its run on the 16th November. 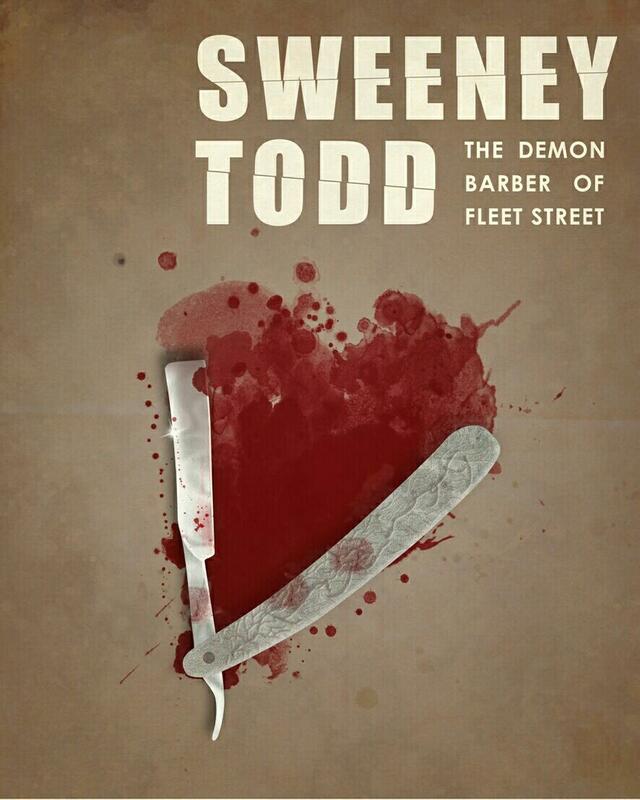 Sweeney Todd runs at the Oxford Playhouse until the 16th November. For more information about Oxford Operatic Society and their forthcoming productions, please visit their website.